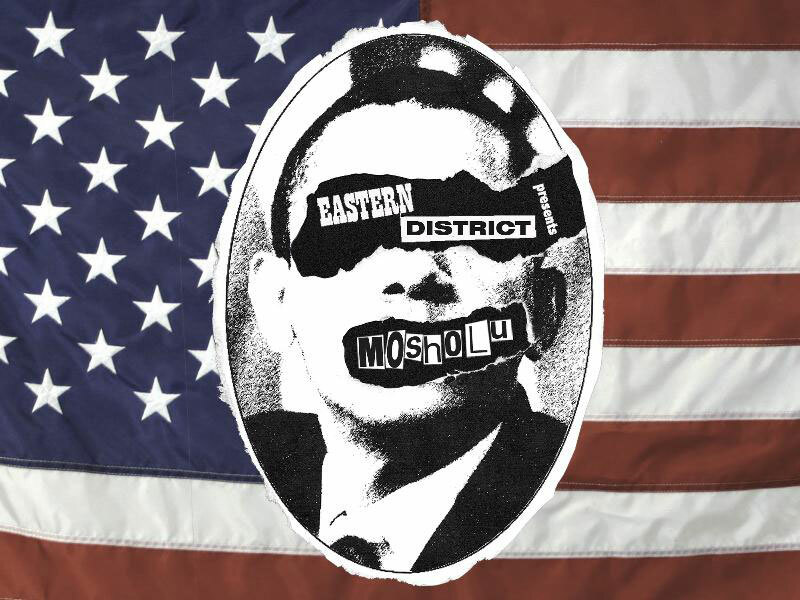 MOSHOLU is a hip-hop/punk/psychedelic compilation spawned from the bowels of Bushwick, Brooklyn. Although we just started recording in the bathroom of Eastern District Gallery a few months ago, With KOOL A.D.(of Das Racist) and production by GHOST DAD (of WIN WIN) are just some of the many blessings to come. MOSHOLU will be featuring songs from SPANK ROCK, DALE EARNHARDT JR. JR, TELLI (of Ninja Sonik), THE YELLOW DOGS, THE KICK DRUMS JOHNNY NELSON, RES (of Idle Warship), GUN FIGHT, FAST YEARS, THE WELLINGTON PAPERS, and more !!!!!!! The MOSHOLU mixtape will also feature art, music, and sound from artists POSTER BOY, CA$H 4, FEER, MICHAEL ALAN, and the OWS movement.